Here is the quick list of the top five dating sites in Thailand. I’ll go into more detail in my reviews later in this article. Online dating in Thailand is extremely popular. There are a lot of sites out there, but the best online dating sites in Thailand are few and far between. There are really only a handful of Thai dating sites worth mentioning because the rest just don’t have high membership numbers, the quality of the people on the site is atrocious, or the interface requires an instruction manual in order to navigate. Dating in Thailand can pay enormous dividends if you are willing to put in the elbow grease and sweat that is required in order to make it work. You need to have a heavy dose of patience and set aside a large amount of time in order to scan hundreds of profiles and send personalized messages to those people whose profiles appeal to you. Thailand women are some of the most beautiful women in all of Asia. If you’ve ever been to Bangkok or Phuket you will know what I’m talking about. Rest assured, when you sign up for one of these dating sites, you will see a bunch of amazingly attractive women. Should you decide to sign up for the online dating sites I recommend below, be sure to read member profiles carefully as you might come across a lot of fake profiles. Usually, I can spot these profiles pretty easily. A woman who has only one picture posted, is wearing a form-fitting dress and making an overly suggestive pose are usually clear signals to steer clear. Another clue of a pretender is a woman who has a poorly written profile. As a general rule of thumb, the more boring the profile, the more boring the person. Without further ado, here are my detailed reviews of the top five dating sites in Thailand. ThaiCupid.com is the best online dating site in Thailand. If I only had money to spend on one site, this is the site that I would spend it on. At any given time, you will usually find more than 2000 people online. Also, if you do a search of women between the ages of 18 and 35 who have been active on the site within the last month, you will find over 1000 profiles. ThaiCupid.com is run by one of my most favorite online dating companies, Cupid Media. Cupid Media owns sites that I’ve used in the past like BrazilCupid.com and Afrointroductions.com. ThaiCupid users benefit from a number of strong features, including in-depth profiles, audio/video chat, and excellent anti-spam measures. If you are a Thai local or you are looking to meet Thai locals, this site is a veritable gold-mine of potential matches. Not only is the sign up free (always in the budget! ), but it’s swift and smooth too. To begin, either join with Facebook or put those fingers to work and type in your name, gender, email, and a password. Next, fill out a short About Me section, tell ThaiCupid about your ideal match, and you are officially signed up. Now, it’s up to you to decide whether you want to take the time to finish your profile or continue on to use the site and start the search for your ideal match. If you decide to leave your profile as-is for now, I should mention that the site will occasionally prompt you with more questions to answer, which can be irritating. Match-hunting will take you down two different paths: browsing and searching. Browsing involves looking at ThaiCupid’s match-recommendations and can be done fast or slow, viewing only photos, taking the time to look at full profiles, or options in between. The search feature is similar to browsing in that you can specify which kinds of profiles you want to see, but with a few more options for narrowing down your search. If you genuinely want to meet people on ThaiCupid, you’re going to need to talk to them. And in order to do that with any regularity, you’re going to need to upgrade to a premium membership. While you can communicate with other premium members without upgrading yourself, this is not a strategy to rely on. As a premium member, your options are greatly enhanced, with audio, video and IM live chats available to you. These are all excellent tools for vetting potential matches. Upload a welcome-video to your profile, sharing about yourself, and communicating your personality much more clearly than text and photos. Send a video message to a potential match, greatly increasing your chances of a response. Live video chat with other members. Confirm if their photos are genuine, and if you two are truly a good match. ThaiFriendly.com is a popular site in Thailand and makes a good second option. 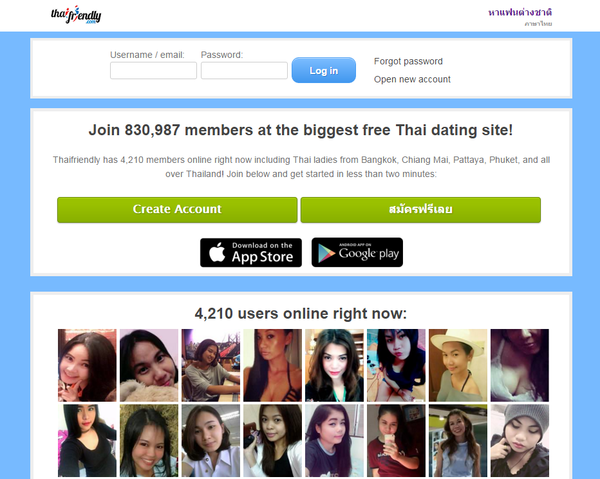 ThaiFriendly is Thailand’s largest “free” Thai dating site, with around 830,000 members, over 3000 of which were online when I was writing this review. As a mostly free site (with a premium membership available for extra perks), ThaiFriendly attracts a younger, more urban crowd than its main competitor I mentioned above, ThaiCupid. You’ll find members from all over Thailand, including Bangkok, Chiang Mai, and Phuket. You can do quite a lot on ThaiFriendly without ever paying a dime, but the premium membership includes enough features that it’s worth looking into. Overall, I enjoyed ThaiFriendly quite a bit and consider it a great third option. Signing up is fast and simple, requiring a username/password, email, birthday, height/weight, your gender and your gender of interest to get started. The next page prompts you to write a headline for your profile, a short blurb about yourself, and select your education level, language English and Thai language abilities, and if you have/want children. To finish up, select your ideal match’s age range and location. Profiles are pretty sparse, with not much else to share other than what was completed during the signup process. The standard browsing feature isn’t as fleshed out as other sites, but it works well enough. As a free member, you can filter by gender, age-range, and location, with height, weight, education and children as extended filter options for premium members. Profiles are shown with a photo, age, location and username, and can be further filtered to show only those who are currently online and have a photo. ThaiFriendly will also label users who are new members. There is also a “Lists” tab, which includes profiles that have visited you, shown interest in you, or favorited you, and also those which you have visited, shown interest in, or favorited. When browsing profiles, you have the quick option to “show interest in” or “favorite” those you like. When viewing a profile, you can send a message, basic text, including photos and emoticons if that’s your style. You can also comment publicly on their profile or individual photos. Free users are limited to 1 message per 10 minutes. Premium users have unlimited messaging capabilities and can also open Instant Messaging chats with online users. At times you’ll come across a profile that is “receiving too many messages”, and to contact them you’ll have to upgrade to premium. While primarily a dating site, ThaiFriendly has a few social-media-esque features, some of which felt more natural to use than others. For example, you can comment publicly on profiles. I never used this feature, as it’s not my style, but I did like the ability to comment on individual photos. Personally I like to chat a bit with members first, and then use the comments. Others may enjoy these features as easy ways to open communication with profiles they like. Finally, you can save your favorite photos, as another option of gathering a list of profiles you like, without publicly adding them to your favorites. AsianDating.com is a member of the International Cupid Media Network. The site has over 1 million subscribers. 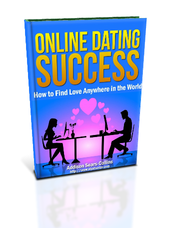 As is common for sites in the network, AsianDating is a user-friendly website that is easy to navigate and use. The site offers both a free and premium membership, and like most sites, the free membership is fairly restricted while the premium membership offers a lot of wonderful features that users enjoy. The biggest flaw I found on AsianDating was the large amount of spam messages I received immediately following sign up. However, there are a lot of real women and men on the site that are looking to meet other people, and the filters on the site do help to keep a good portion of the scammers out. If you are looking to connect with a Thai woman, this site is a great place to look. 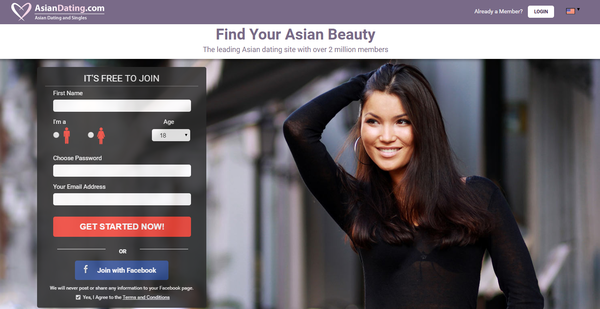 Signing up for AsianDating was really simple. It took about 2 minutes and didn’t require any credit card information. You can sign up with your Facebook account or start from scratch and enter a few personal details like your name, gender, email address, and password. Once the account is created, you’ll move on to creating a profile where you can share some information about yourself that you think potential matches might be interested in as well as letting people know what you are looking for in your ideal match. At this point, the profile isn’t quite finished yet, but you have the option to start browsing through other people on the site to look for potential matches. If you choose this method, the site will periodically prompt you to finish the last few steps of the profile, and while this can be a bit disruptive, you can choose when and if you finish your profile. You have two options when looking for matches on the site, you can choose to browse through the other profiles on the site, or you can use the search option. Browsing will be at your own pace. You can look at photos and read through full profiles as you choose, one user at a time. This gives you full access to all the other members on the site, but can be time consuming. The search feature is a bit faster and lets you create search criteria that is specific to what you are searching for. There are a lot of search options including age, location, education level, whether or not users smoke, drink, or have other lifestyle preferences you may be searching for, body build, ethnicity, married or singles, and religion. You have the option to save your search criteria so that you can use your custom search in the future as you look for new singles. I ran my custom search daily to find new singles that fit my criteria. While the free membership allows you to search profiles, view them, show that you are interested in certain users, and save certain profiles to your favorites list, it doesn’t allow much in the way of communication. If you are truly looking to meet someone on the site, upgrading to a premium membership is the way to go. While any free account can send a message, either the sender or receiver has to be a premium member to actually read it. By upgrading to the premium membership you guarantee that anyone you message will be able to read and reply to your messages as well as enjoy features like instant messaging, audio features, and video chats. The best and most original feature of AsianDating is the translation tool for messaging. This tool breaks down the language barrier by allowing you to translate your message to any language of your choice with one click of the mouse. On a site that features a diverse group of people, this tool is invaluable. 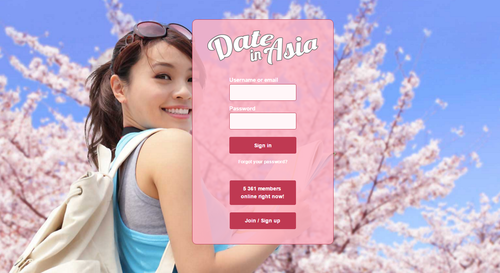 DateinAsia is an Asian focused dating site, with around 1 million registered users. Most of these users are Southeast Asian women (mostly from Indonesia and the Philippines, although there are quite a few in Thailand) and foreign men. DateinAsia is a completely free site, and as you may know by now, free dating sites often bring a lot of baggage. DateinAsia unfortunately is no exception and is riddled with inactive profiles, non-serious members, spammy users and outright scam-artists looking to make a buck. Overall the site is pretty bare-bones, in terms of design and features. If you’re looking for Asian singles, there’s bound to be some gems on here, but bottom-line I would recommend you spend your time elsewhere. To start, enter a username and password, and your email, birthday, location, gender and match gender. Next, you’ll be asked to confirm your email, and then enter a valid phone number for an SMS verification. DateinAsia claims to do this for security purposes. You can choose to skip this step for now, but your profile will be deleted if you don’t comply within 7 days. Once you’ve completed that, write a catchy headline, a short blurb in the About Me section, fill in some more basic information (appearance, education, occupation, etc. ), and some information about your ideal match. Finally, upload a photo, and you are done. You have a few basic options available to you. First, if you are anywhere on the site besides the Search tab, at the top of the page you’ll see a bar of random profiles you can browse through. Go to the search tab, and you can simply browse through member profiles until you come across someone you like or perform a Basic or Advanced search. Basic searches are filtered by gender, age and location, while Advanced searches are further filtered by the basic information selected when signing up (occupation, religion, appearance, etc.). You can also see who has visited your profile or shown interest in you. Messaging options are as basic as the rest of the site’s features. You can add profiles to your favorites, “show interest” and send messages, which are text only. An indirect form of communication would be to simply visit someone’s profile, as they will be notified when you do so. This is an easy way to draw attention to your profile. DateinAsia may be the first site I’ve come across that truly does not have a single unique feature to its name. Everything about the site is basic, basic, basic. If anything, this itself makes DateinAsia unique. Their features are so limited that you’ll feel in control of the site in just a couple of minutes. 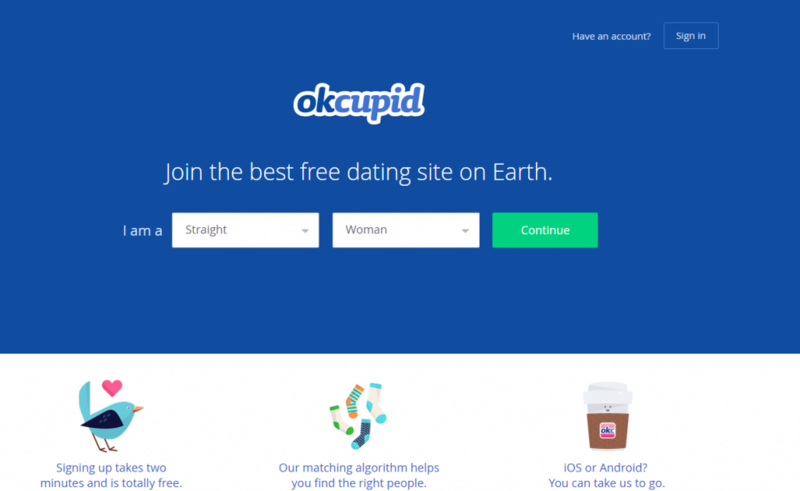 With OkCupid, there are no signup fees, which is why it has attracted about 30 million users. With this many users, your odds of finding someone are quite high, especially since the platform uses a wide-ranging questionnaire along with sophisticated algorithms designed to offer you the best possible matches. However, because the site is free, there will be a certain number of suspect profiles and spammers among the lot that you will have to sift out. For the most part, you will have plenty of choices for whatever type of relationship you’re interested in, from casual hookups to falling in love, and everything else along the way. OkCupid makes it easy to sign up using your Facebook account, or you can do it manually by entering basic profile information. Next, you select your username and password; write a short description of yourself and briefly answer 5 questions regarding your personality. When you finish that, you peruse the user profiles, selecting 3 that you “Like,” giving OkCupid an idea of what you’re looking for. Once that’s done, you can browse all you want. It’s up to you how long it takes you to complete your profile. You will want to upload photos, fill in basic stats, and play around with the 8 different prompts. OkCupid allows you to provide a ton of information about yourself, with thousands of questions you can answer if you wish. Some people plunge right in and love the idea of sharing a lot about themselves, while others prefer to keep things more private. You will determine what your comfort level is for sharing personal information. While perusing profiles, OkCupid lets users narrow their search by using various options to filter the choices. As you’re looking around, you will be viewing each person’s profile picture, username, his or her age and where they live. You will then see percentages for “Match” and “Enemy.” These are OkCupid’s algorithm stats working on your behalf to compare and contrast your answers to their answers to the questions asked on the site. You also have the option of using Quickmatch, a tool that presents other members for you to either “Like” or not. When the tool finds a match, both members are notified. OkCupid gives you two main options for communication with other members: to “Like” and to Message. When you Like someone, you are really only bookmarking them in a way, since users are only informed of who has Liked them when they opt for the premium membership, which costs money. As you’re answering questions, you point out which answers would be acceptable from others as well as how important the answer to this particular question is to you. Because there are thousands of different questions, the more you choose to answer, the more accurate your matches are likely to be in theory.